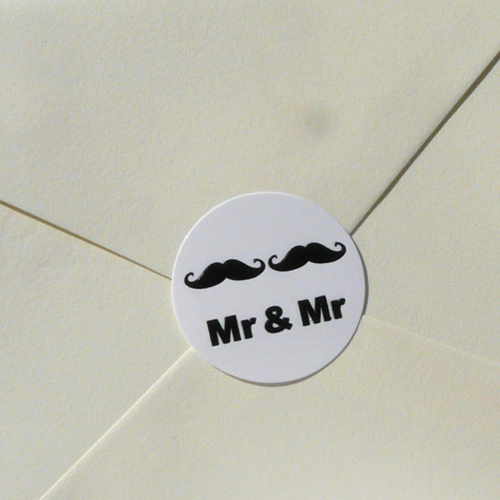 Add a touch of class to your invites for your big day with these exclusive embossed designer wedding labels. 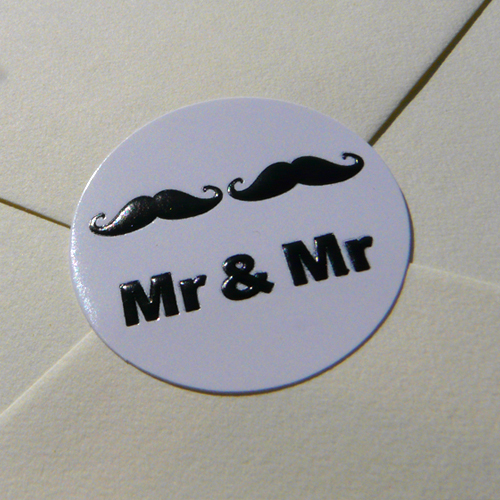 These white foil embossed labels are 35 mm diameter, with the words “Mr & Mr” embossed upon them in black foil. Two black foil moustache are embossed above the words. 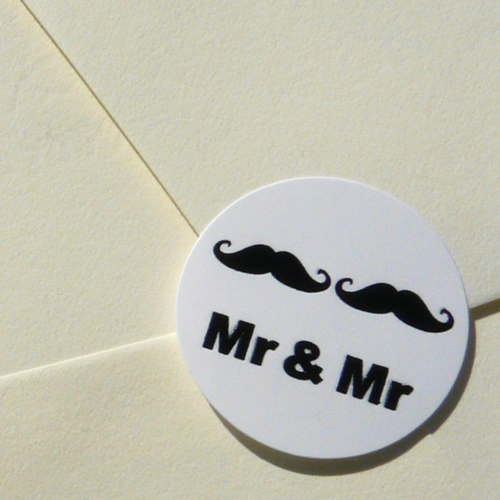 The perfect addition for civil ceremony invites. These luxury wedding seals allow the couple the chance to add something special to their invite. Each pack contains 20 labels.